Updated: 2013-02-17. Something not right? Please update the information. Formal campfire circle, chapel, compass course, obstacle course, pioneering supplies, archery, riflery, low ropes course, high ropes course, rappelling, mountain bike trail, mountain bikes available, volleyball, sports field, canoeable water, canoes available. 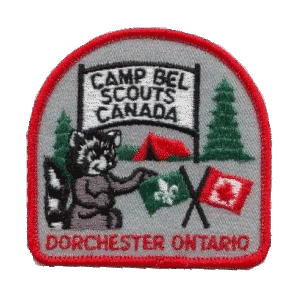 Camp BEL is named after the late Bert Elgin Langford who donated the property to Scouting "for the kids of Dorchester". The camp is about half wooded and half open fields. It backs onto the Thames River, which is suitable for canoeing. There is a rappelling tower, a 500' tree top zipline, multiple low ziplines, two obstacle courses, many craft stations, and first aid trailer. There are three clearings near the Thames River that can accommodate about 75 campers each.